We have added another style in the denim range! The Lucy is a piece for every wardrobe, pair with a polo or tee for the ultimate look! 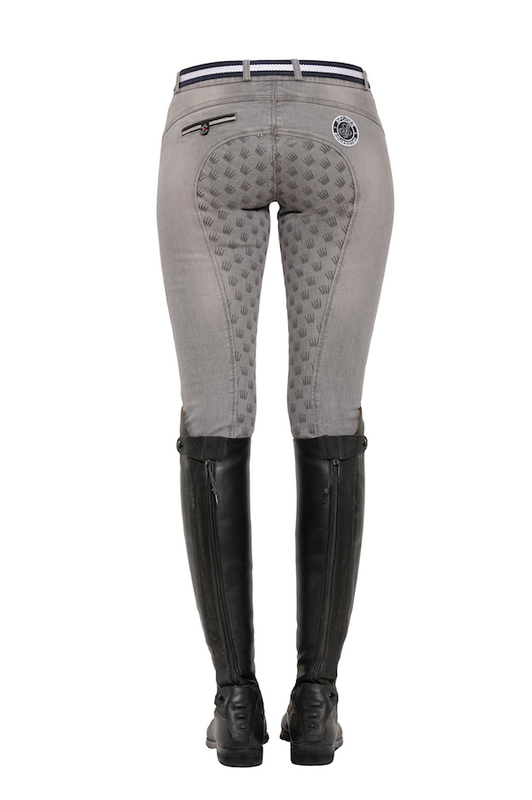 Very comfortable and stylish full grip breeches with practical foot cuff. The grip is provided with small Spooks crowns. In addition, the breeches have a Spooks logo patch on the back of the breeches on the right. • Washing instructions: machine wash at 30°C, please wash separately.